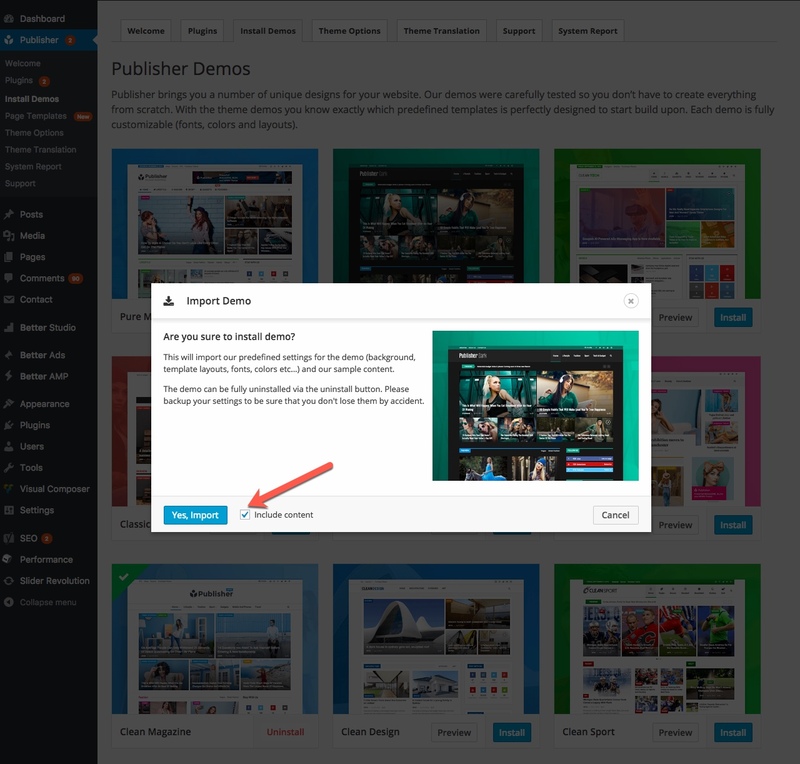 For getting familiar with Publisher demos, read What is Publisher Demos? and if you wonder how to install demo in Publisher, keep reading this article. You can install demo including its content. This means everything you see in a demo will be added to your website; widgets, menus, pages, posts and everything else. By installing a demo including content, new content will be added to your website and your content is safe. 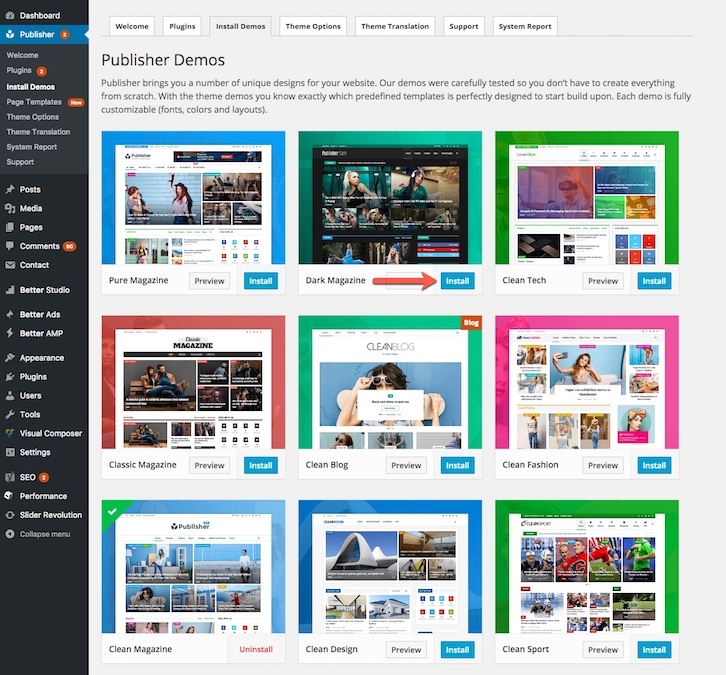 1- In theme panel go to Publisher → Install Demos. 2- Now you can see the list of demos. By clicking Preview, you will see a live preview of demo (image below). Click Install to start the process of installing demo. 3- There is a checkbox in installing alert (image below), if it’s checked, demo installs including its full content. If you have contents on your website it’s highly recommended to uncheck this box. Now you have a pre-created website and just need to customize it and create your own content. Repeat above steps 1 and 2. At step 3 uncheck the check box to just receive demo settings not all the content. All demos of Publisher support RTL but all of them do not have ready-to-use RTL demo. After installing English demo, if you have installed it with content, add your content and delete English contents which come with demo. Also you can change theme layout and edit homepage blocks to make your website looks like demo website.